Carol Mcgrath’s Blog Tour: Historical Fact into Fiction and ‘The Woman in the Shadows’. I’m delighted to welcome Carol McGrath today as part of her blog tour for her brand new release, The Woman in the Shadows. Historical Fact into Fiction and ‘The Woman in the Shadows’. Thank you, Jenny, for hosting the second hop on The Woman in the Shadows Blog Tour. I came to History very young, encouraged by television serials and novels by writers such as Jean Plaidy. I lived it and believed it all, though these writers never claimed to be Historians. We do not write the ‘truth’, nor do Historians much of the time either, but we do attempt, if we are any good, to recreate a believable historical world for the reader. We research, but we incorporate the research into the fabric of the historical lives we recreate. Our aim is to tell a good story and put flesh on the bones of history. We resurrect dead people and give them renewed life. We do not tell the ‘truth’ about these personalities, certainly not consistently, but we try to speculate in an informed way so that we come up with stories and characters that are plausible. Writing about Elizabeth Cromwell was a huge challenge, my greatest to date. Much is known about her infamous husband, Henry VIII’s minister during the 1530s who found a solution to The King’s Great Matter, engineered Henry’s divorce from Catherine of Aragon and his remarriage to Anne Boleyn. Thomas Cromwell closed monasteries and lined the King’s pockets with rich pickings, and then he brought Anne Boleyn down along with a group of her devoted courtiers, including her brother. What was Elizabeth Cromwell’s marriage really like? What was marriage to such a man? Who was Elizabeth Cromwell? 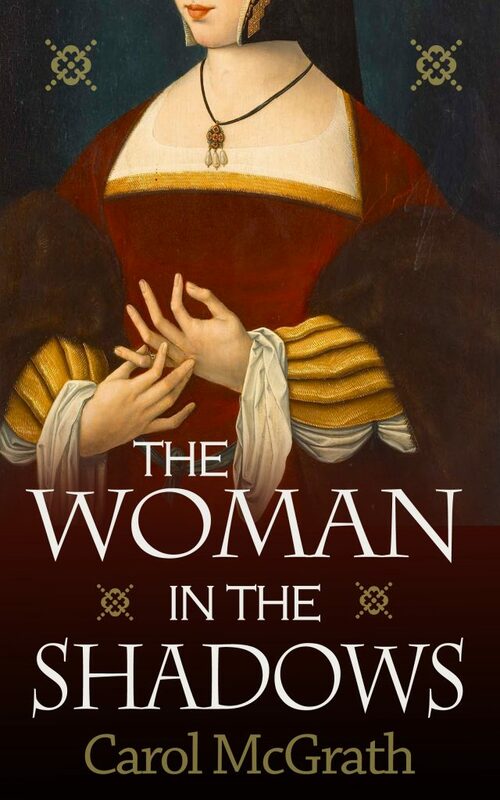 The events of the 1530s occur outside the remit of The Woman in the Shadows. Elizabeth Cromwell sadly died in 1529. All that is known about her is that she had been married before, had no living children from that marriage and came from a family involved in the cloth trade. We know a little about her mother, father, brother and sister. We know that she was well-off and was raised in Putney, as had been Thomas. The Cromwells owned a fulling mill, a brewery, land on which Walter Cromwell grazed sheep, a smithy and a brewery and pub. Walter Cromwell, the father, was not poor though he may well have been a drunk. Both Thomas and Elizabeth hailed from a trading middling class. To bring Elizabeth to the page, I took these scant facts and padded them out. I used my knowledge of Thomas Cromwell’s early life, researching in primary and secondary source material. He had returned to England by 1513 after a period in France, Italy and Flanders. He married Elizabeth circa 1514. They had three children by 1520. Thomas was a cloth-man and a self-taught lawyer who worked for The Merchant Adventurers. By 1518 he was involved in land transactions for Cardinal Wolsey, possibly introduced by a relative to Wolsey. He was also, by 1522, drawing closer to court. I had to look at this world from Elizabeth’s perspective, not that of a twenty-first century woman. I had to know and understand this world with all its warts and delights, misogamy, cruelty, bad smells and wonderful fragrances, its cut-throat poverty and rich merchants, colourful pageants and Saints’ Days. I had to consider the New Learning, Humanism, that interested the Cromwells and their close friends. Researching the Cloth Trade was fascinating too. Could Elizabeth have inherited her first husband’s business interests? Could she have been a cloth merchant? Widows could marry as they wished, so could she have married Thomas for love? He never remarried after her death, but could he have had an affair? I did find possible evidence of one, in that he referred to a possible daughter in a will he wrote in the early 1530s, a girl, Jane, who dwelled near Chester and was born around 1520. Did Elizabeth possess emotions as we have them today and if so did they play out differently to the way we react to betrayal in marriage nowadays? These are a few of the questions I consider in the novel. I hope I have succeeded in bringing Elizabeth out of the shadows and given her a renewed life, at least in fiction. I hope I have made us think about Thomas Cromwell as he may have been during the years of their marriage and before he climbed the greasy pole of ambition within the Tudor Court. Most of all, if you read it, I hope that you enjoy reading The Woman in the Shadows. Without you there would not be a book. Many thanks for visiting on your tour today Carol. Good luck with your new book. Happy touring! Fascinating subject, given the recent interest in Thomas Cromwell. The question of ‘truth’ is an important one for readers and writers, too. It’s always reassuring to read another writer’s views. Looking forward to reading this. A lovely blog, Carol, encapsulating the pleasures and difficulties of writing historical fiction. I’m looking forward to reading the book. Lovely post Carol. Women in history are complex creatures, neither pawns in a man’s world, nor powerful figures dominating their society. I think you have ajlways dine a great job in your portrayals of women in your books, giving them a be,ievable charatcer within the constraints of their worlds.